Catalina Personalized Blueberry Address Sign - - one line or two line 13.25" x 8" modified rectangle sign with blueberry accents at both ends. Made in USA. 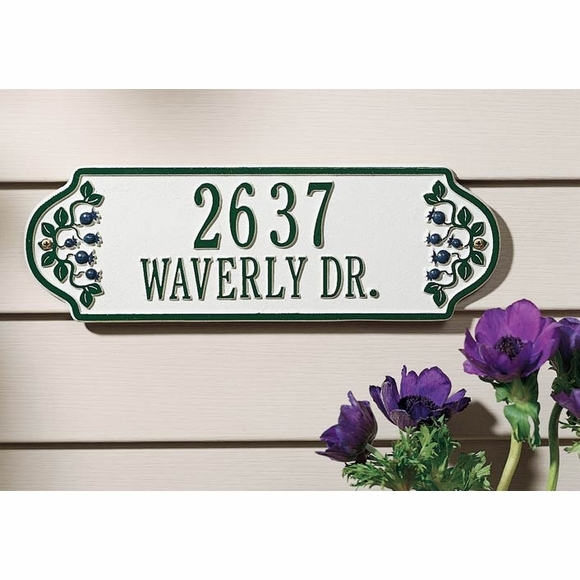 Vibrant and crisp three-color address sign has a green address and border, green leaves, and blue berries. One or two line 13.25" x 8" blueberry address sign.